Can't make it to class or live too far away? 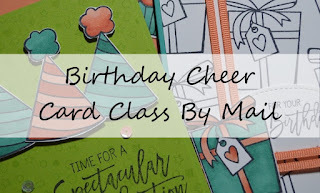 Why not try my Class By Mail! 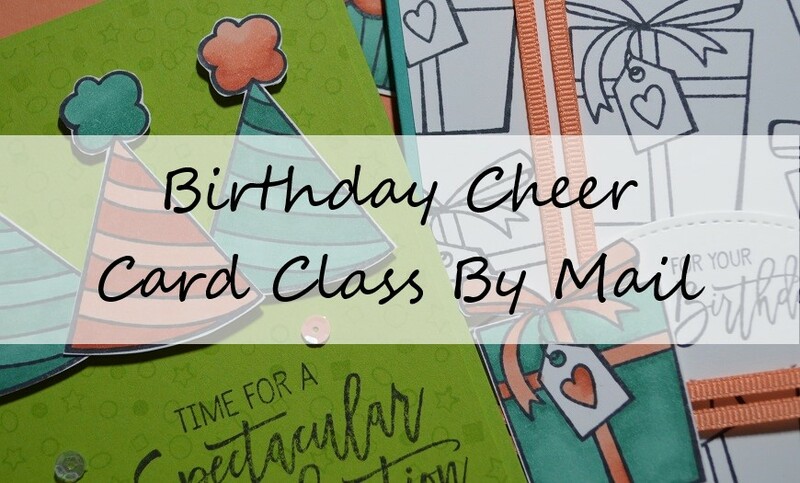 Plus for FREE you’ll receive cardstock, embellishments, die cuts, envelopes and full instructions to create 6 cards (2 each of 3 designs). All for the price of $34!! Versamark Ink Pad (rrp $15.75) only $14. Memento Ink Pad (rrp $10) only $8.50. Bermuda Bay Stampin' Blends Combo Pack (rrp $15.50) only $14. Calypso Coral Stampin' Blends Conbo Pack (rrp $15.50) only $14. Detailed Birthday Edgelits (rrp $52) only $40. Additional card kit to create 6 cards only $8. Contact me to order your Class By Mail by March 31st.